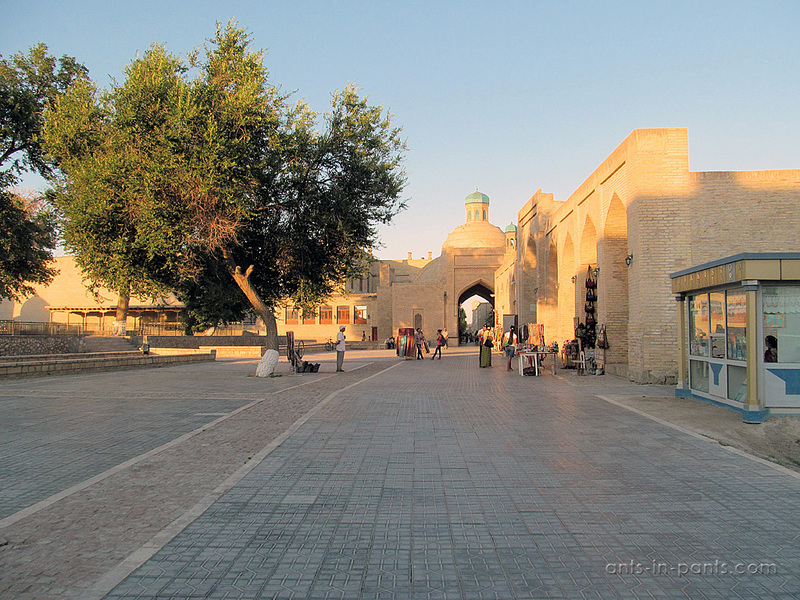 Bukhara is over 2500 years old, and within these years it was the large center on the Silkroad and a capital of the great Samanid Empire. 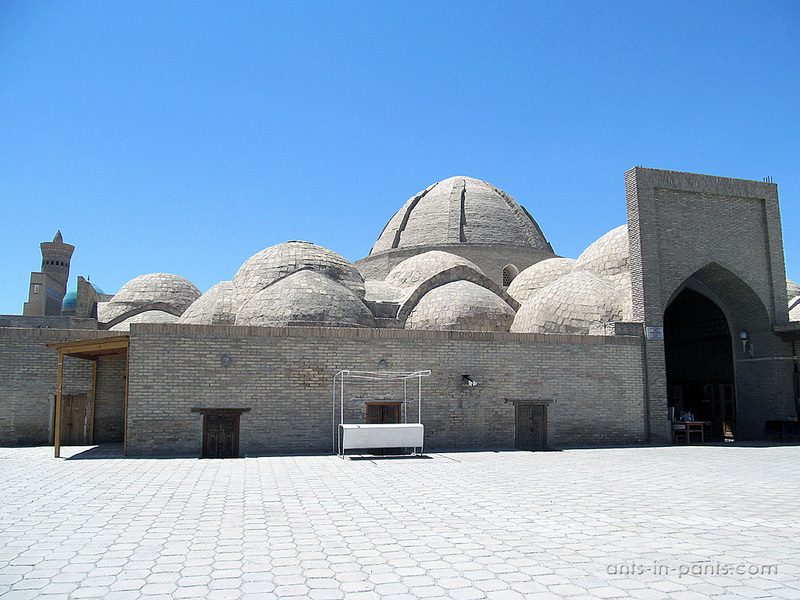 Samanids in particlular erected their caravanserais, madrasas, palaces, mausoleums, and mosques, still attracting the travellers from all over the world. 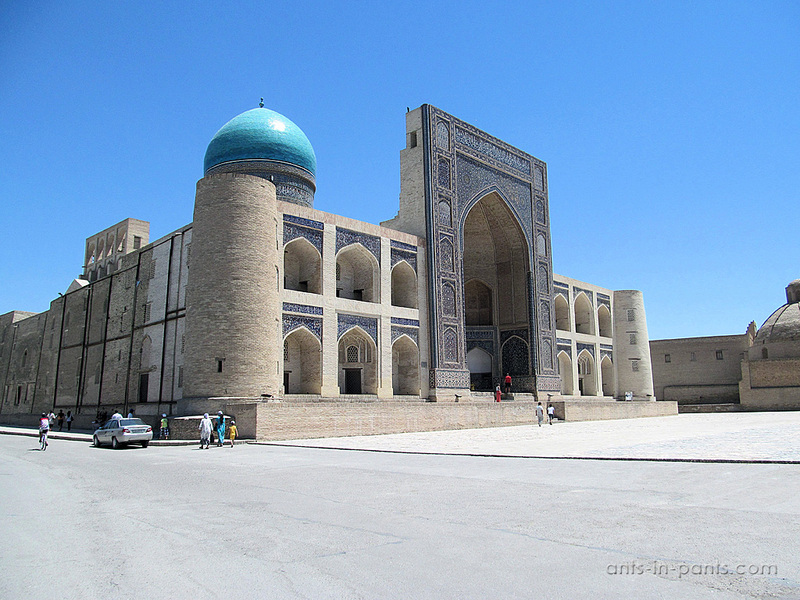 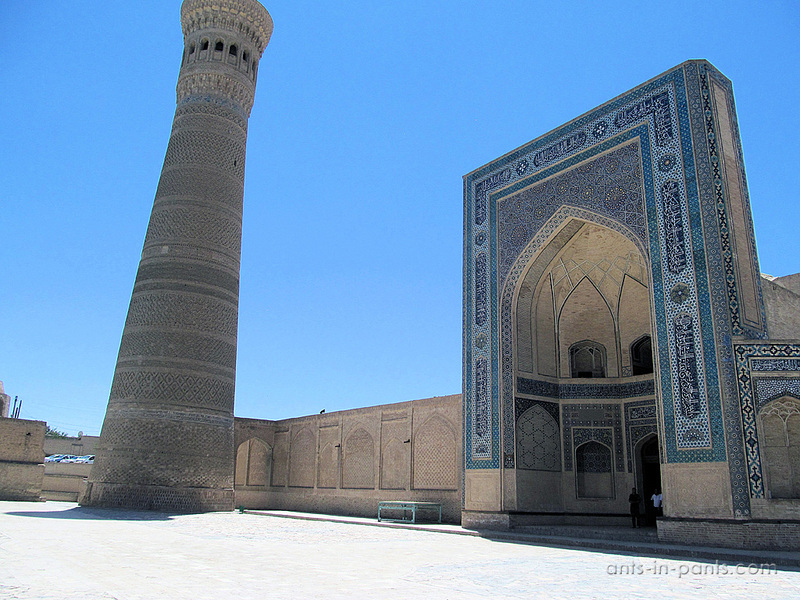 Along with Khiva, Samarkand, and Tashkent, Bukhara is the most popular tourist destination in Uzbekistan. 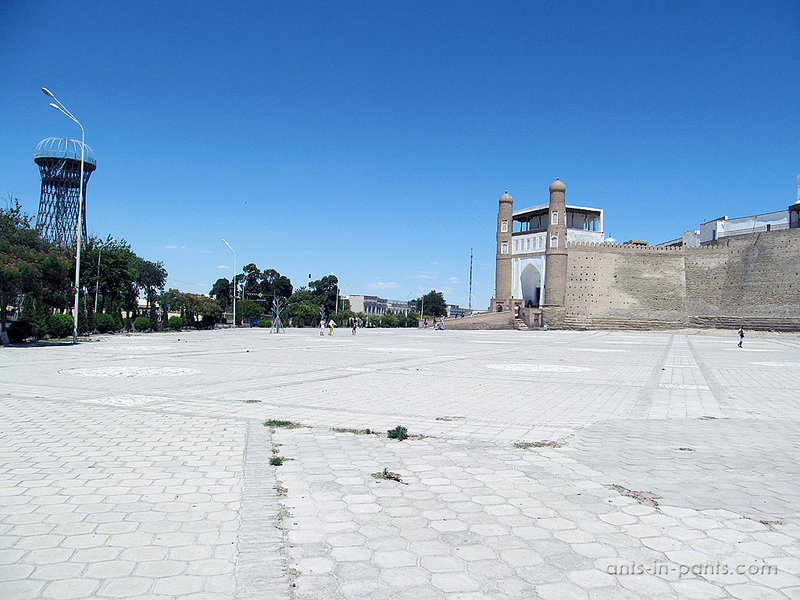 In 1920 the Red Army headed by Frunze occupied and largely destroyed Bukhara, making its emir flee to Afganistan. 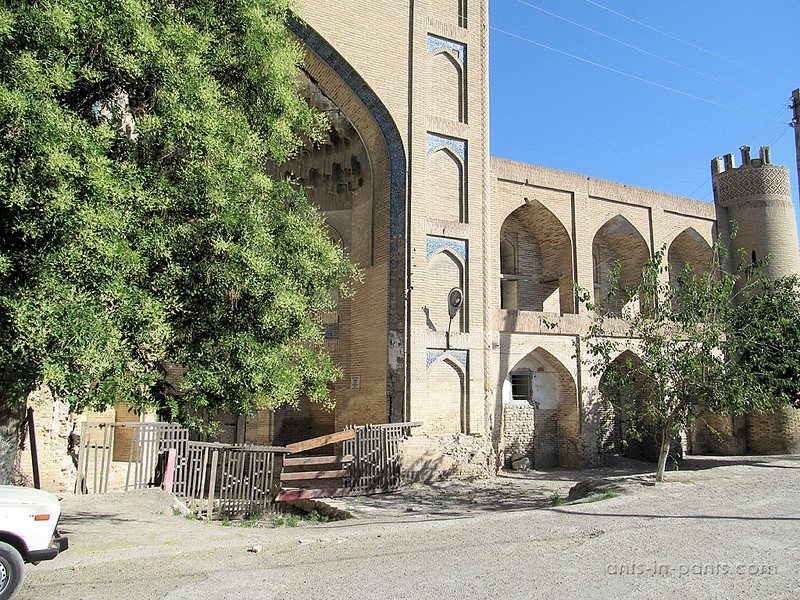 In spite of it, their is a great number of sights available for a tourist today, and one may only guess and wonder how many more of them were destroyed. 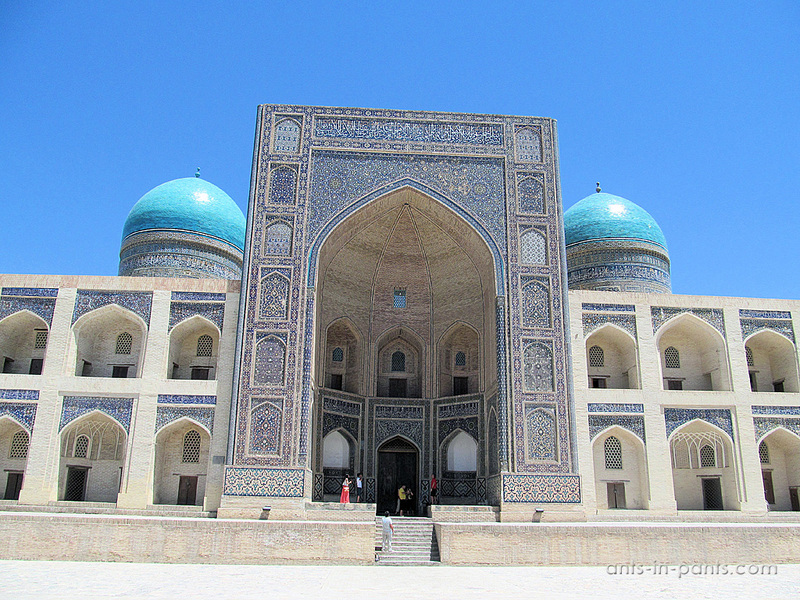 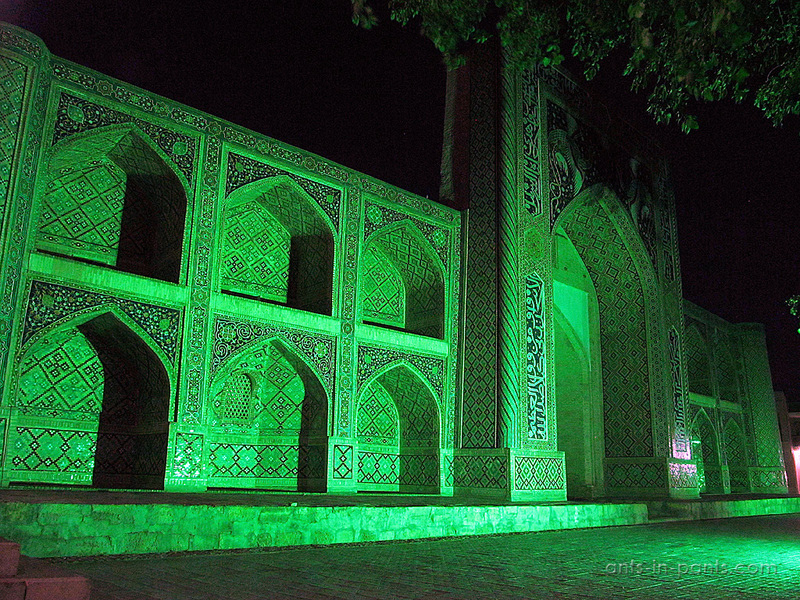 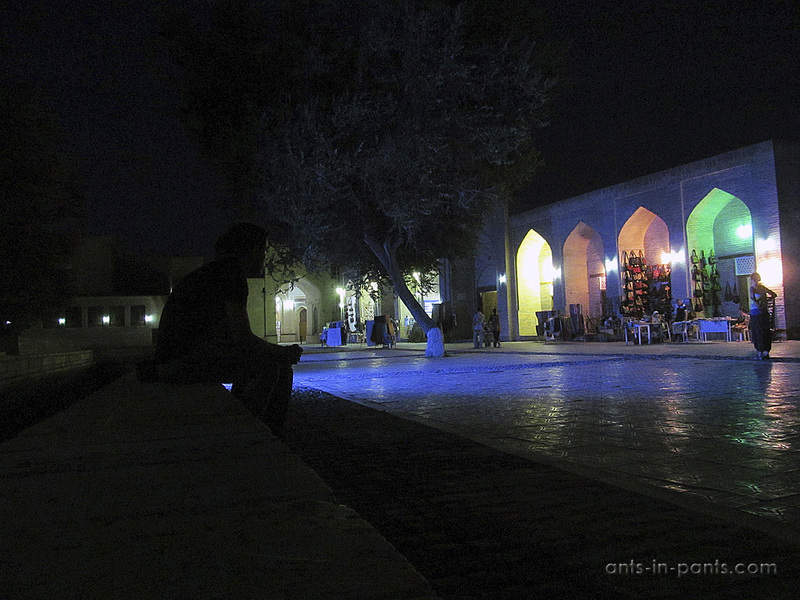 We arrived in Bukhara from Urgench, at first having taken a night Urgench-Navoi train. 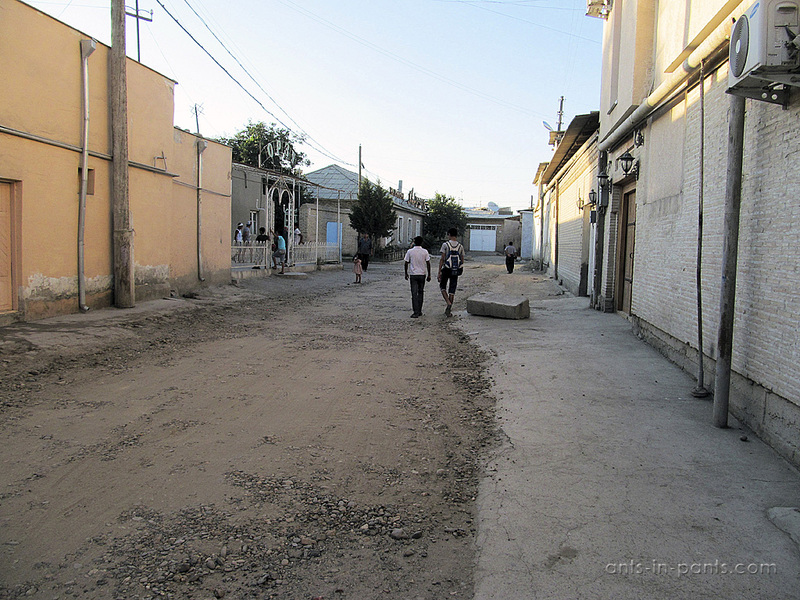 Then it takes 8 kilometers to get to the Navoi bus station (by taxi, we paid 3000, and it is better to catch it on the road that at the railway station). 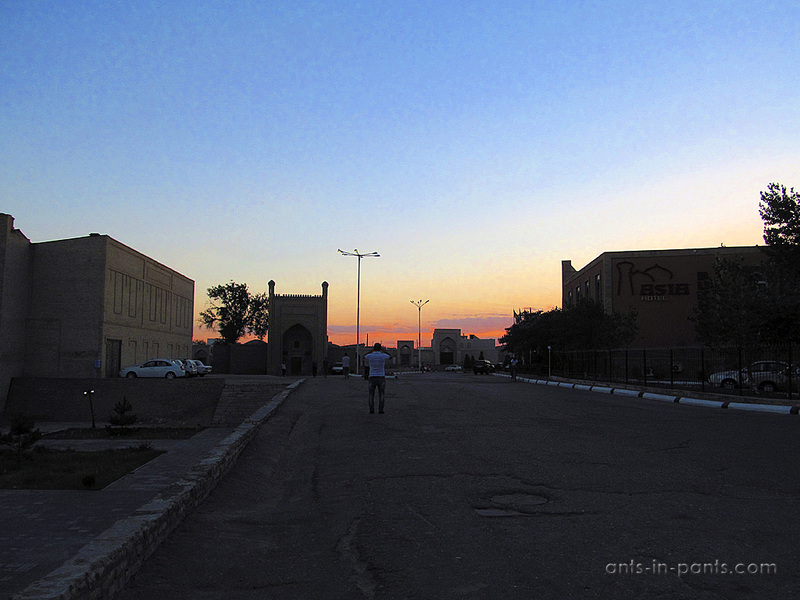 The policemen there searched our bags, but then, when we figured out that the next bus to Bukhara was departing after the noon only, they helped us to find a collective taxi. 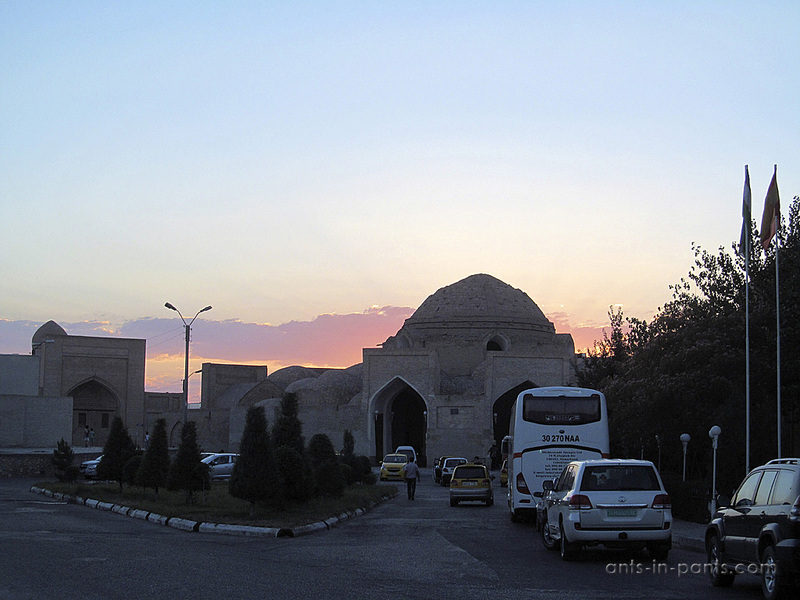 The direct taxi cost 15000, while the one till Gizhduvan, a town before Bukhara was 7000, and from Gizhduvan to Bukhara – 2000, by bys. 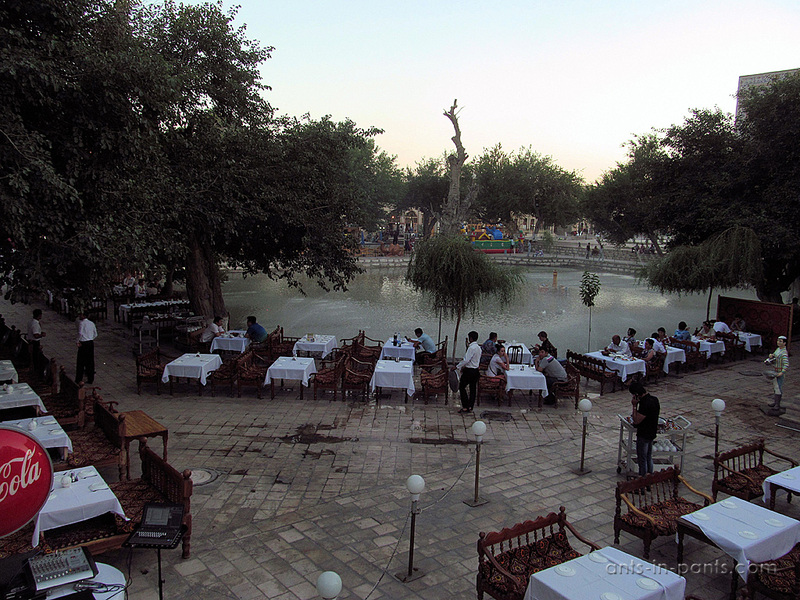 Having reached the bus station of Bukhara, we took marshrutka №61 to Lyab-i Hauz – a park with a fountain in the center of the city. 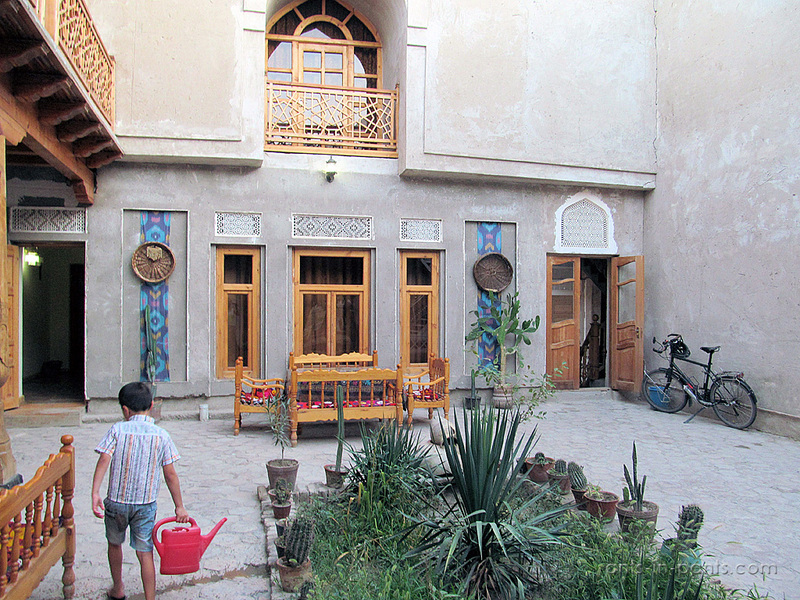 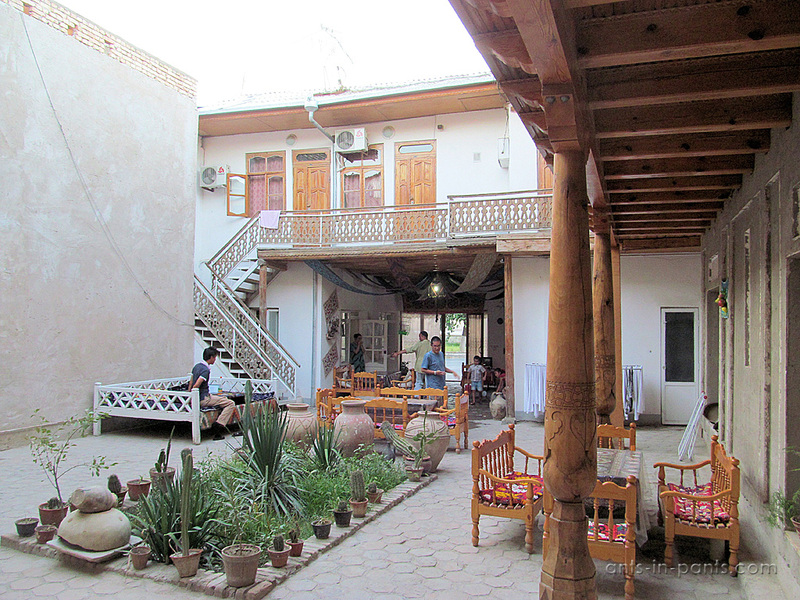 We stayed in the hostel “Rustam and Zukhra” (Naksambad 116, tel. 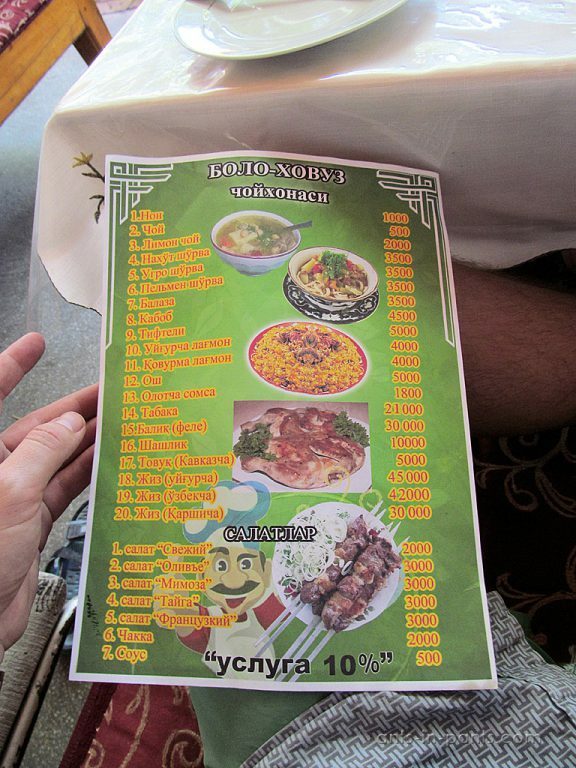 (99865) 224-30-80, GPS 39.77338N, 64.42014E, 5-minute walk from Lyab-i Hauz) for 30000, including the breakfast. 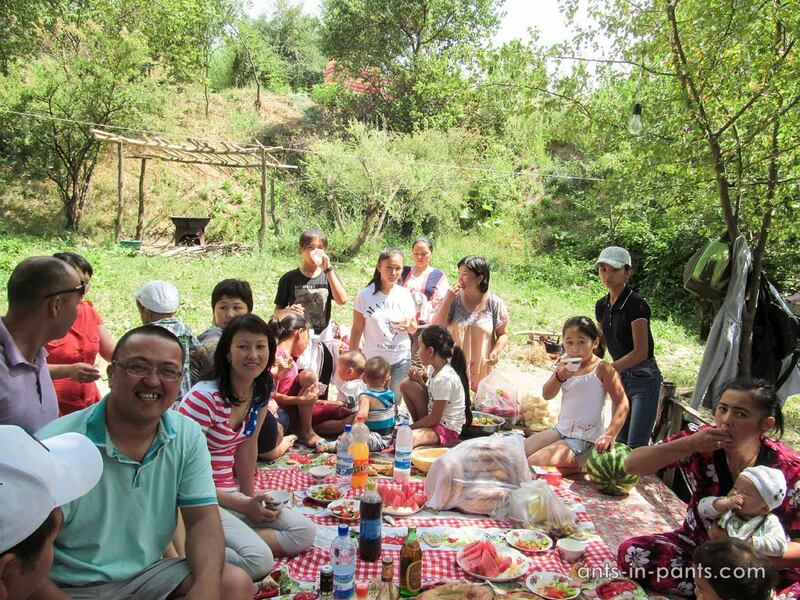 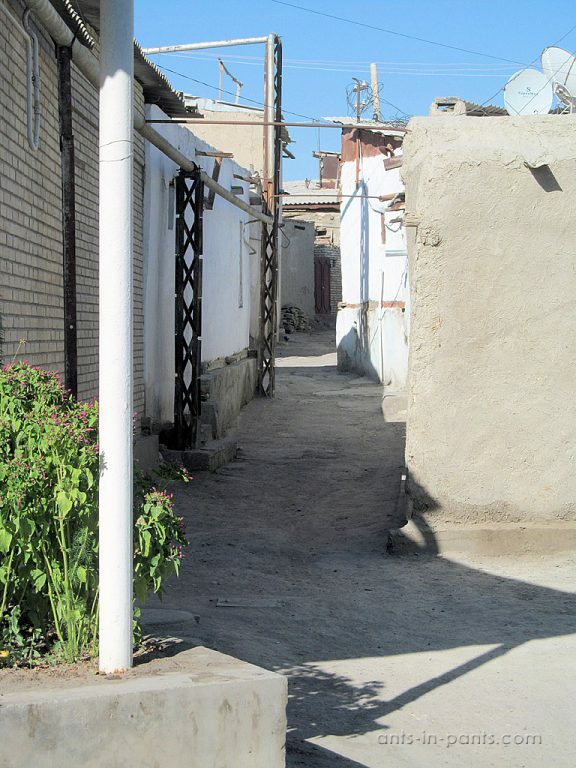 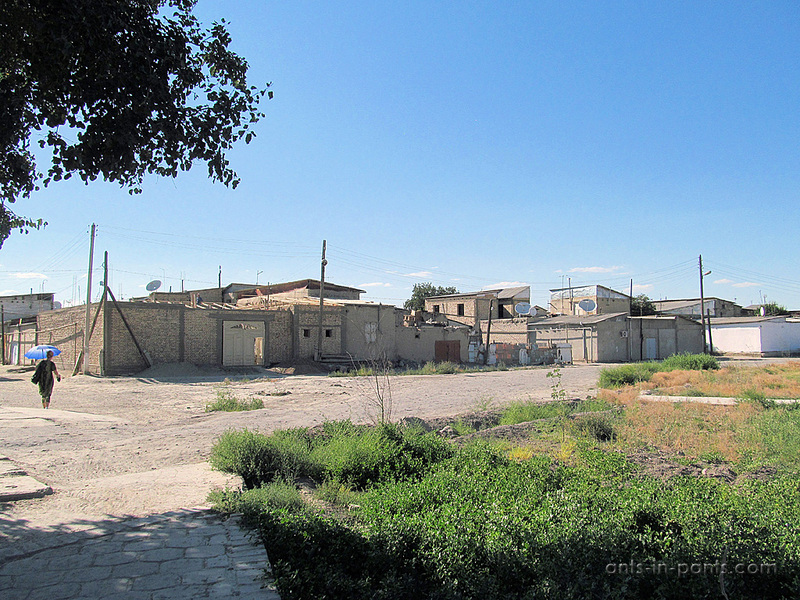 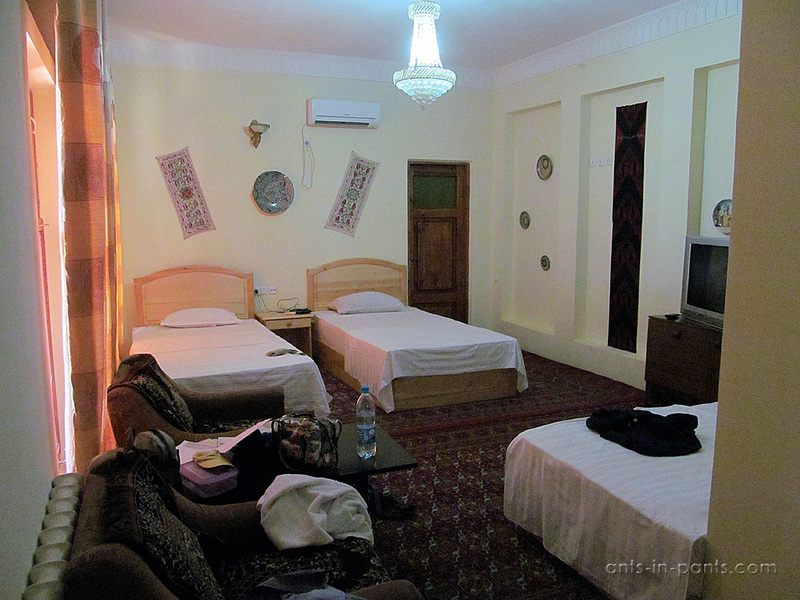 The owners are very friendly English-speaking Uzbeks; the rooms and yard – are very clean and nice. 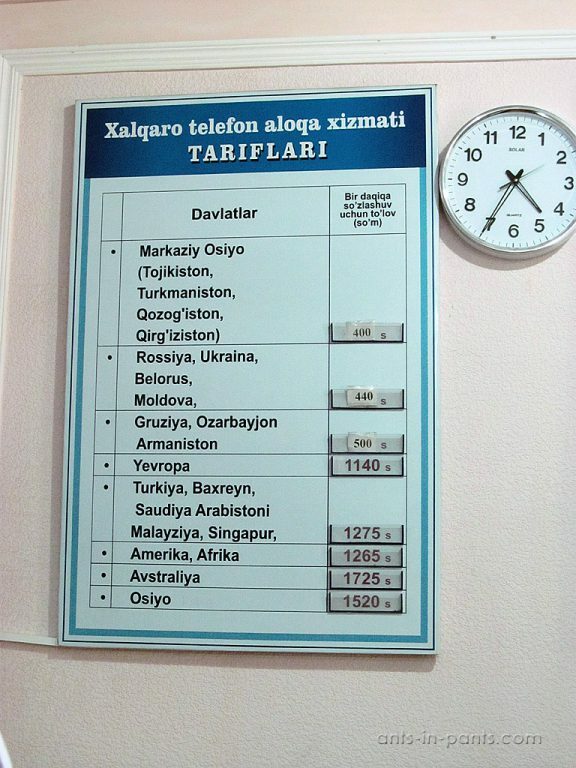 It is possible to make a registration in the hostel. 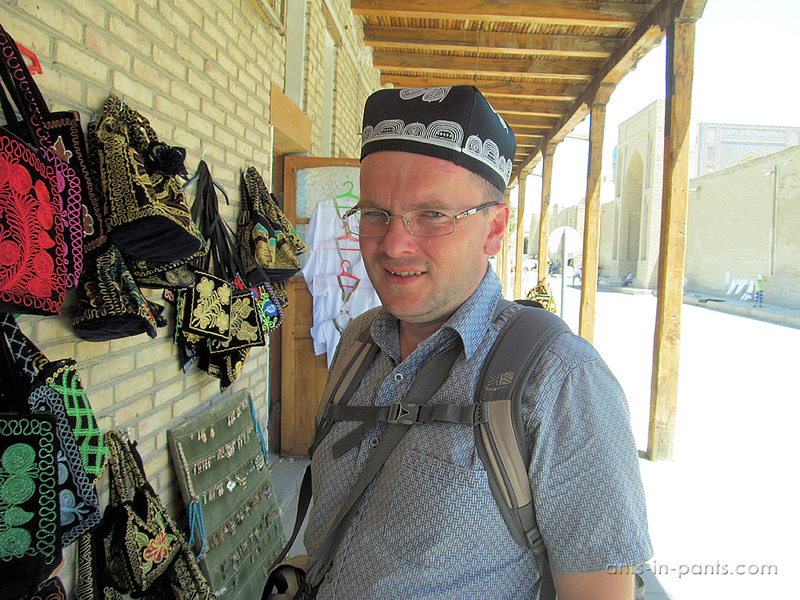 The son of an owner, a boy in his early teens, spoke excellent Russian and English and explained to us that knowing languages is a basis of success in touristic Bukhara. 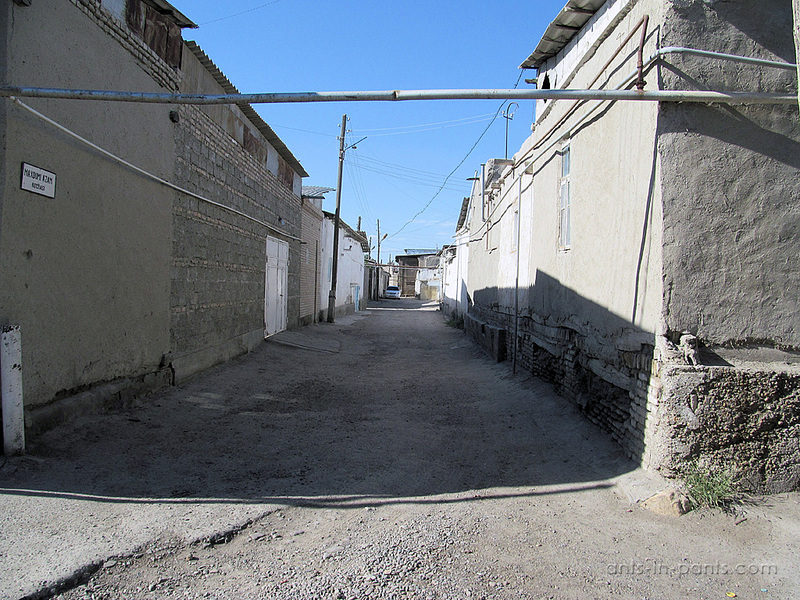 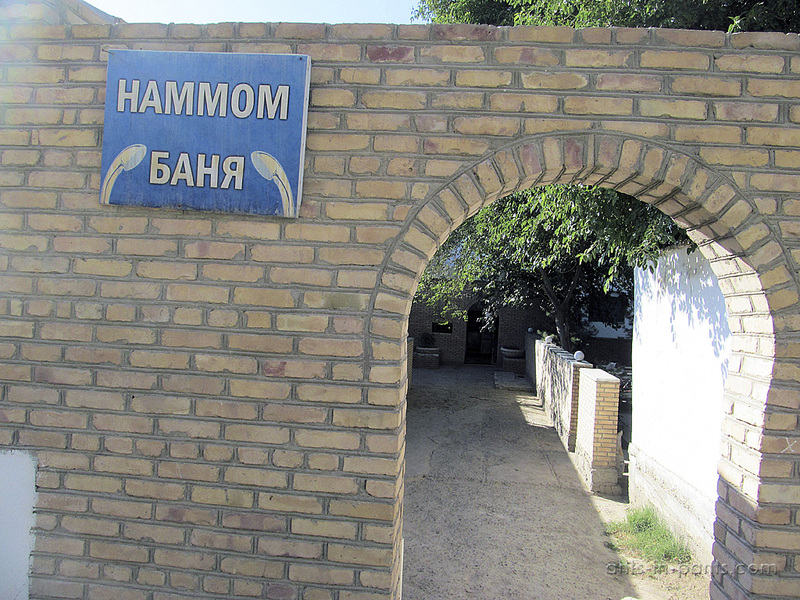 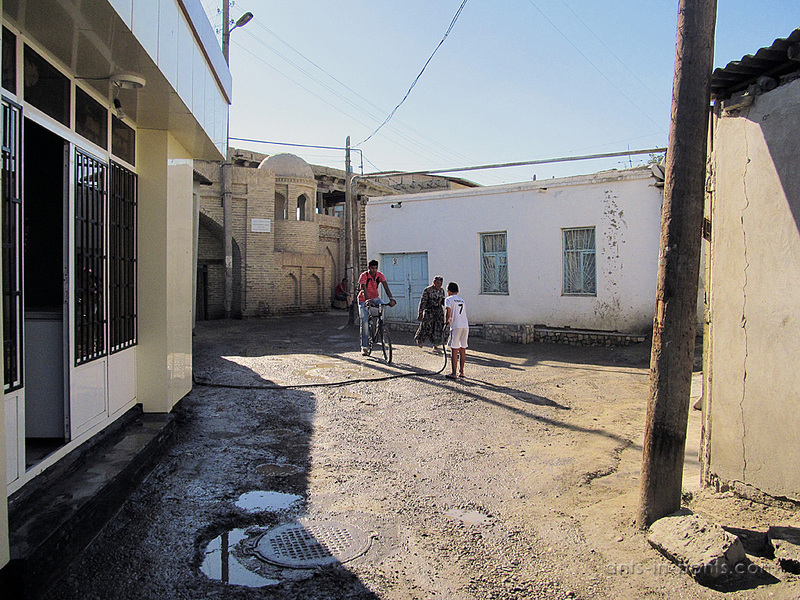 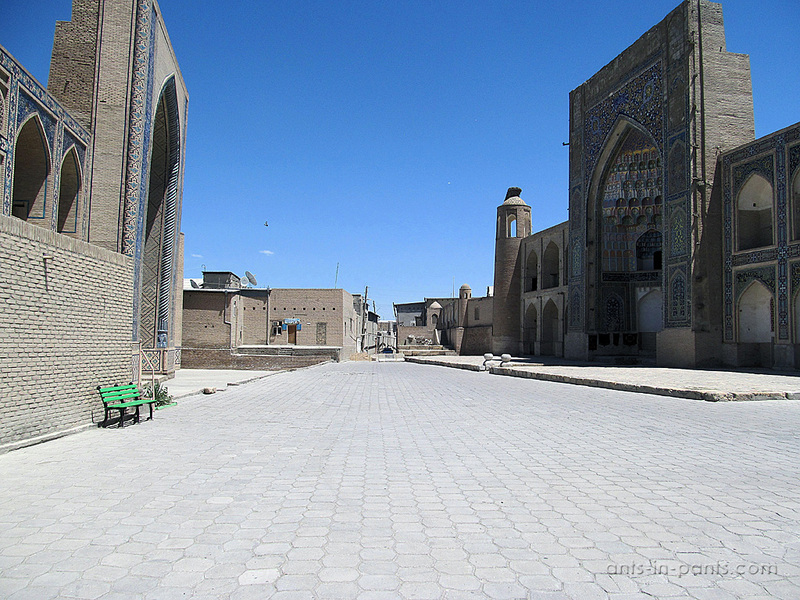 As in Khiva, many people here speak English, and children in the streets will often shout “hello!” to you. 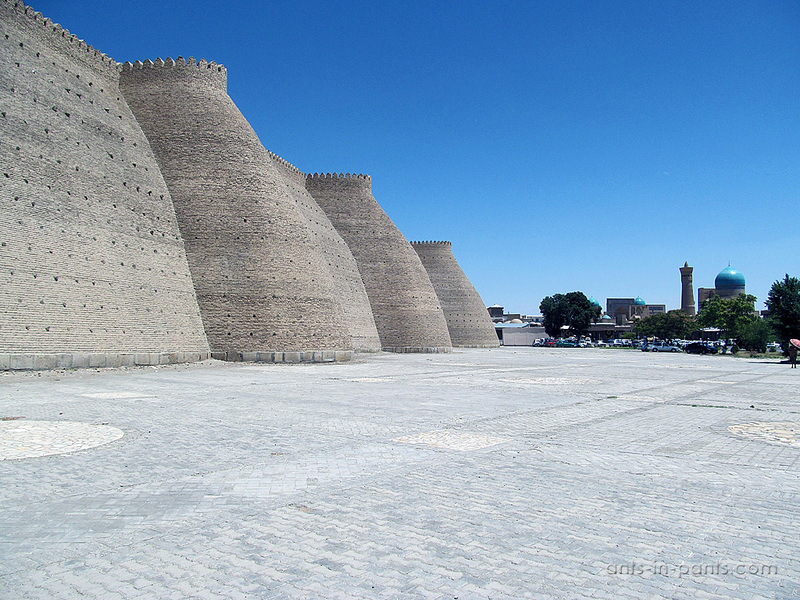 The ancient fortress Ark (5 AD) was a bastion of Bukharian emirs, and at the beginning of the 20th century 3000 people still lived here. 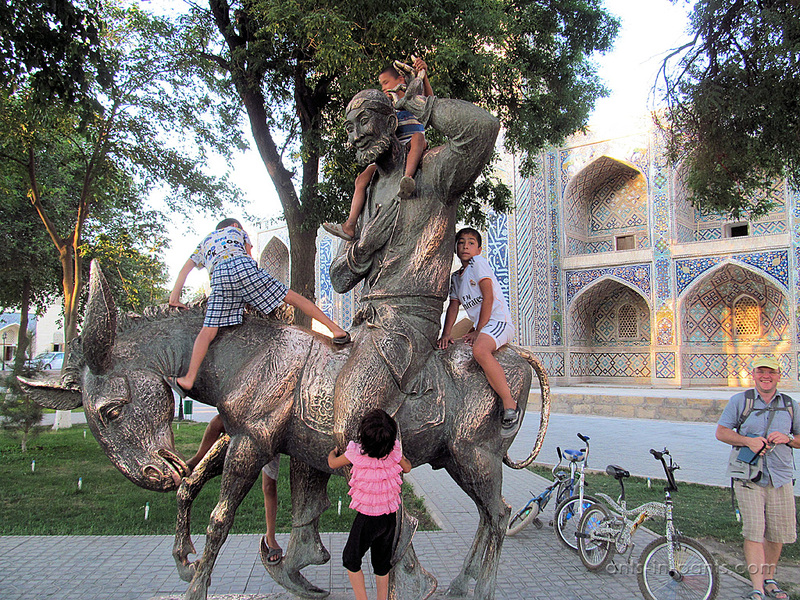 Today the fortress accommodates a museum with the entrance fee of 12 dollars for non-Uzbeks. 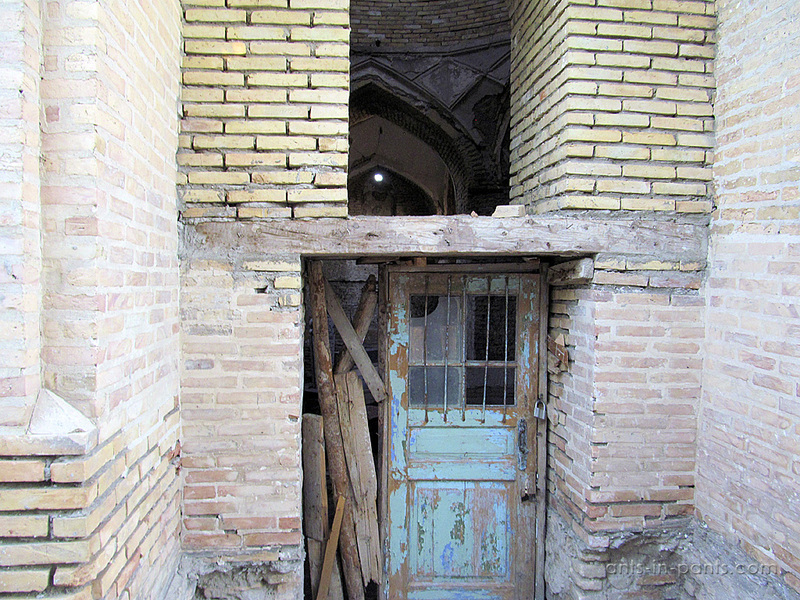 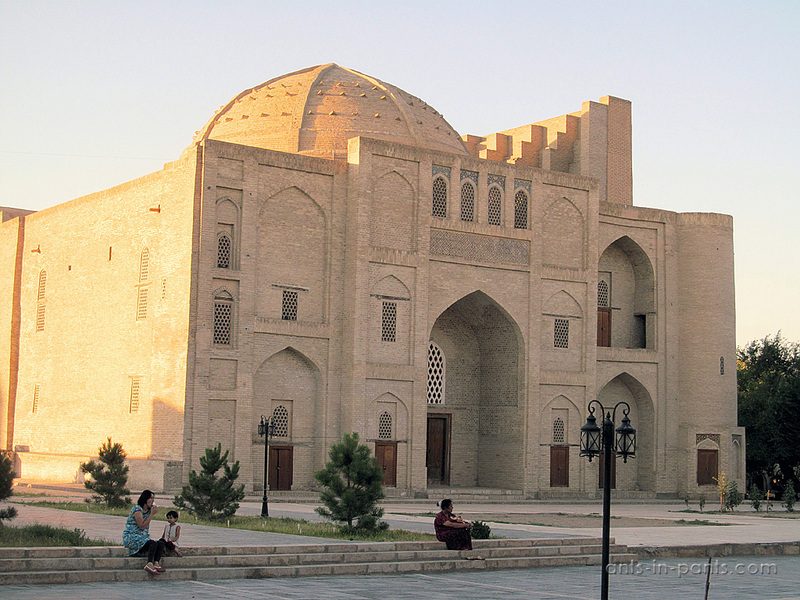 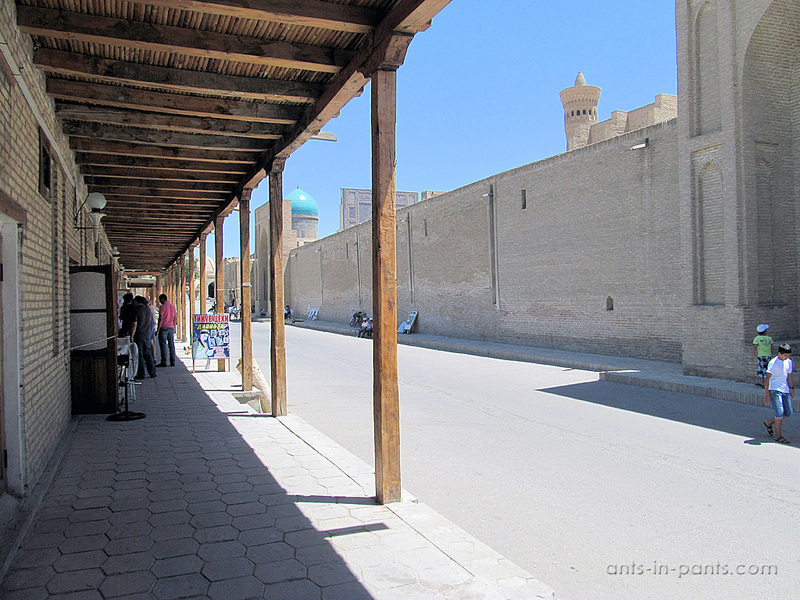 Zindan of Bukhara is a prison of the emirate, situated inside the Ark. 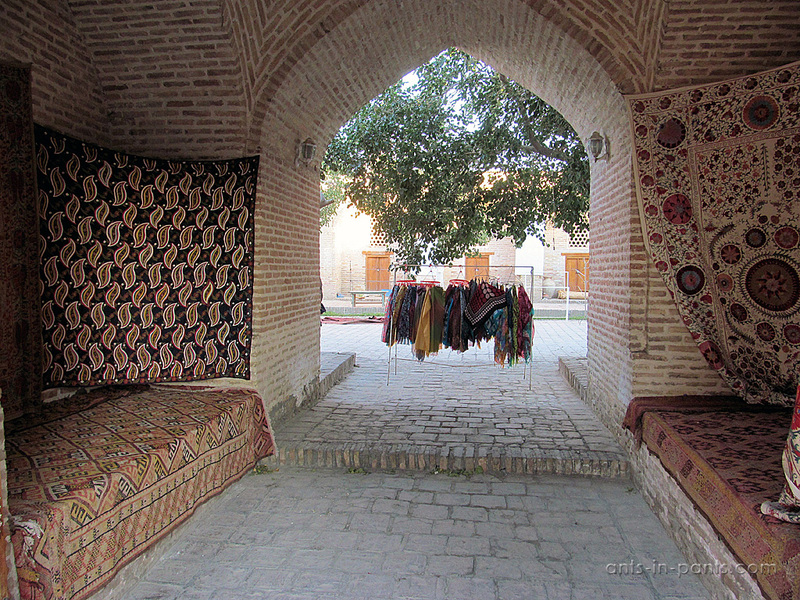 Toqi zargaron is a market built in the 16th century to sell jewelry. 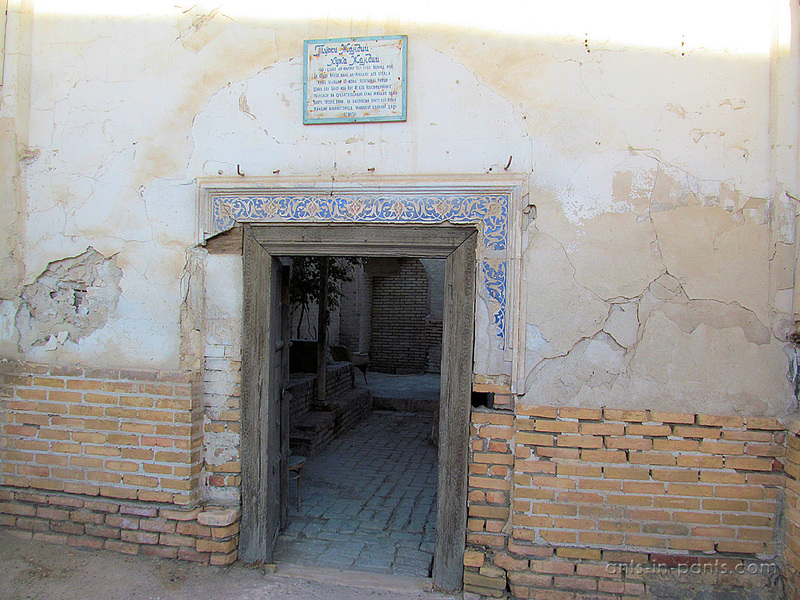 One of the most known sights is madraseMir Arab, the Islamic educational institution which was founded in the 16th century, still teaching about 100 students. 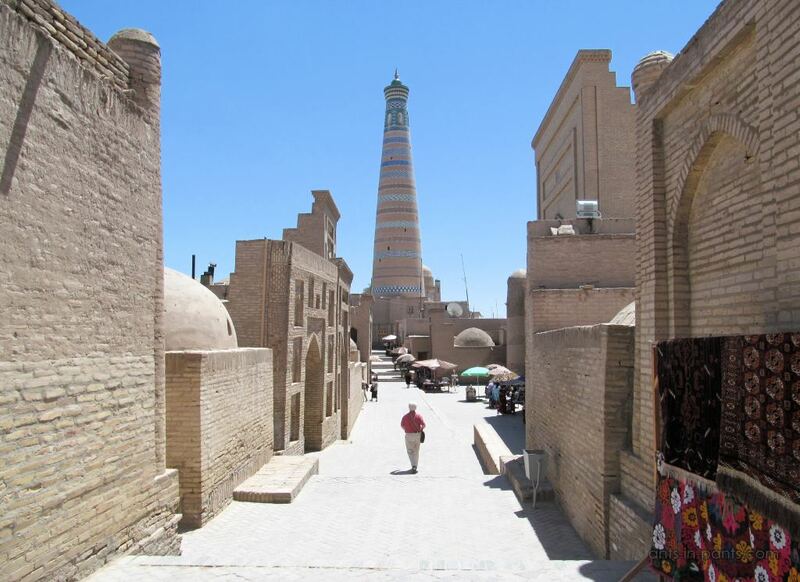 Kalyan minaret of the 12th century is one of the oldest buildings preserved in Bukhara. 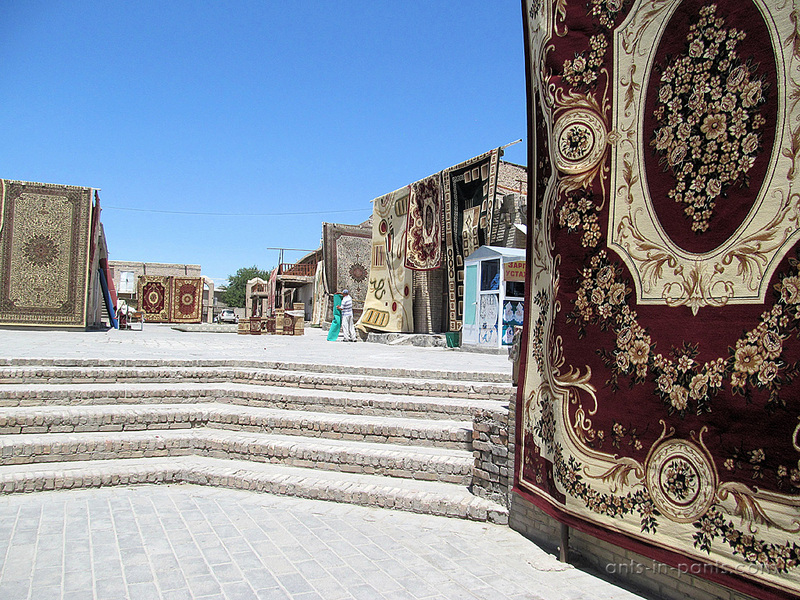 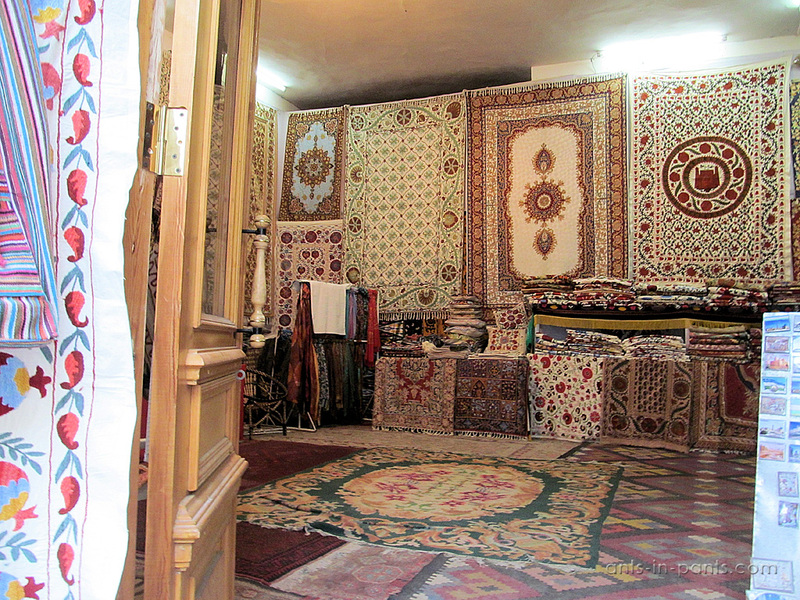 The old city is a place to buy quite expensive souvenirs, especially carpets. 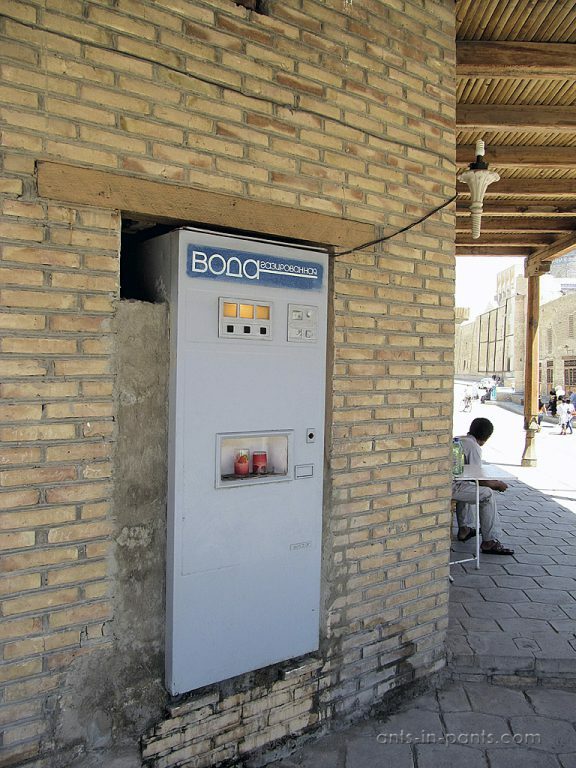 Soviet gas water machines as in Urgench. 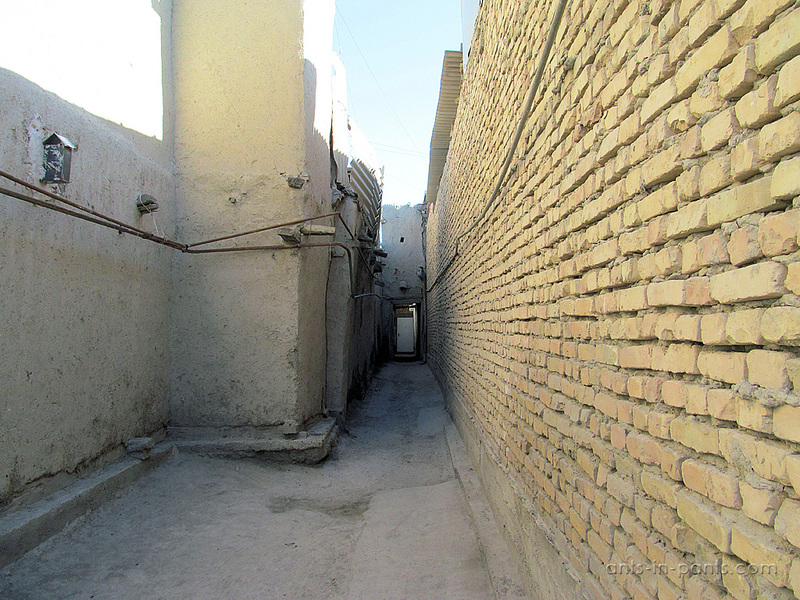 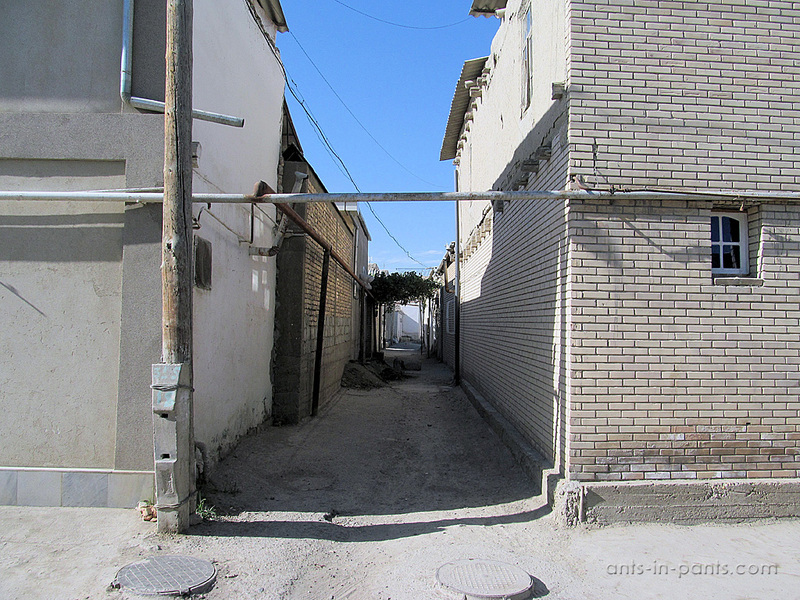 Behind the historical sites, the city appeared to be even more interesting. 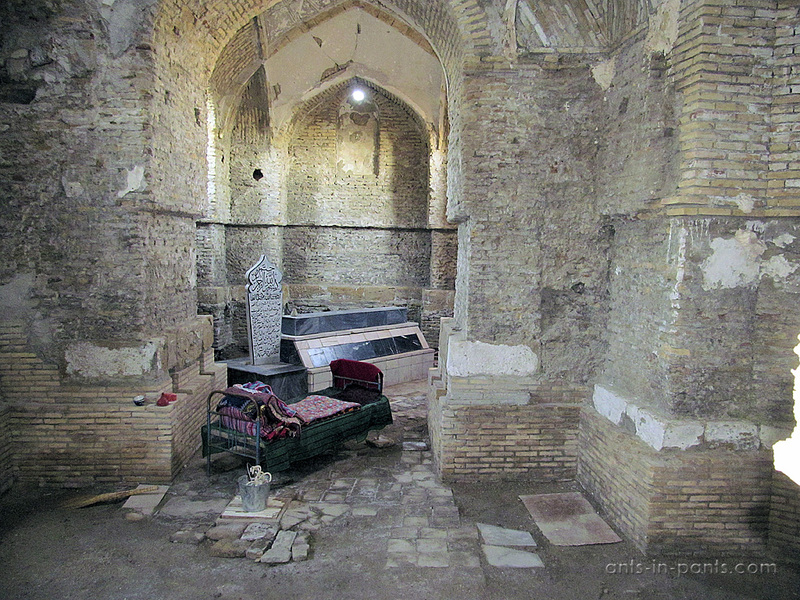 We also occasionally found a half-destroyed building, inside of which there was a headstone, a grave, and a bed. 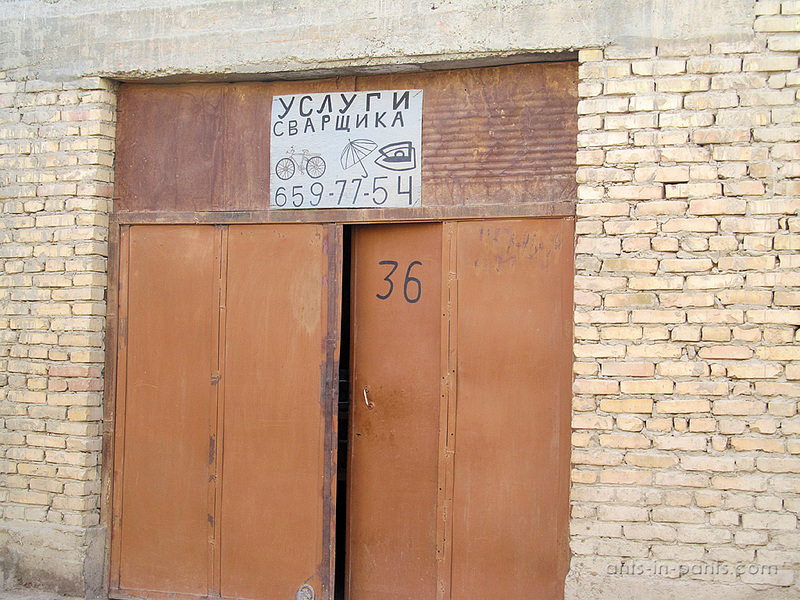 And this sauna sells great draft beer! 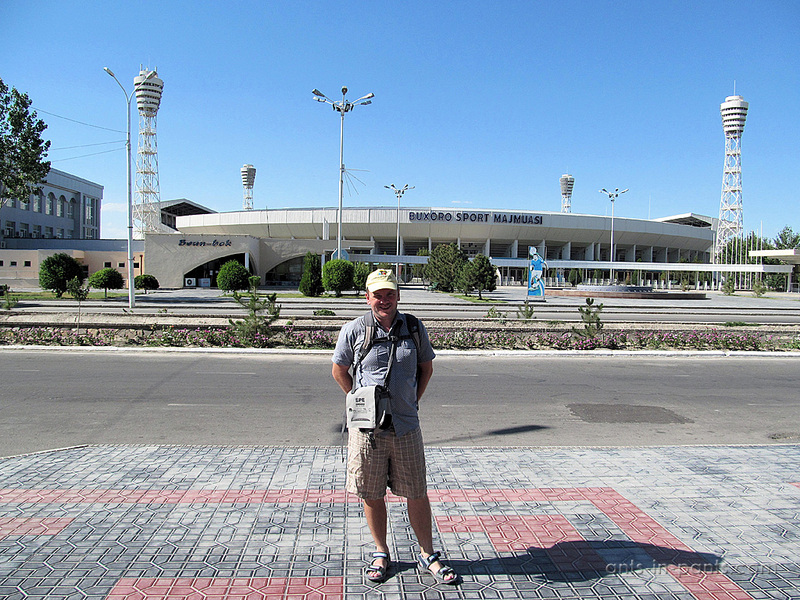 There we met Nizami from Azerbaijan, whom we later met again, occasionally, in huge Tashkent! 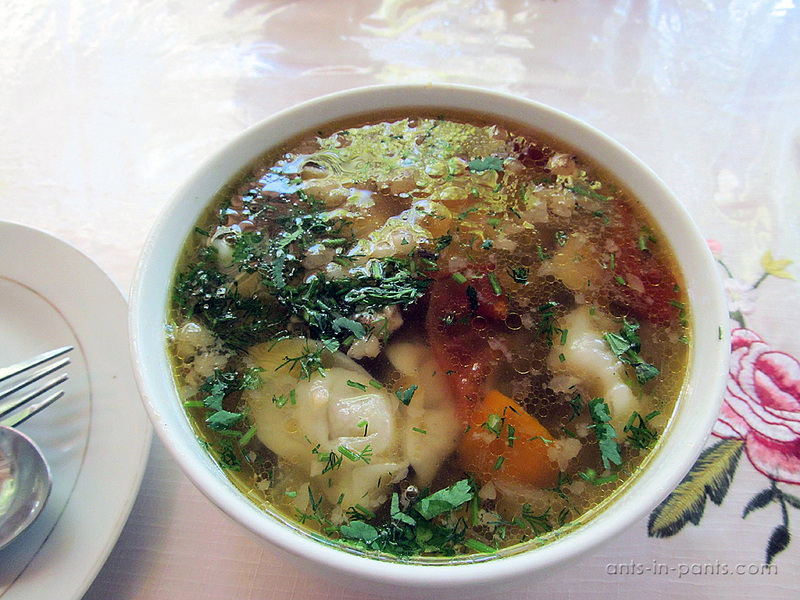 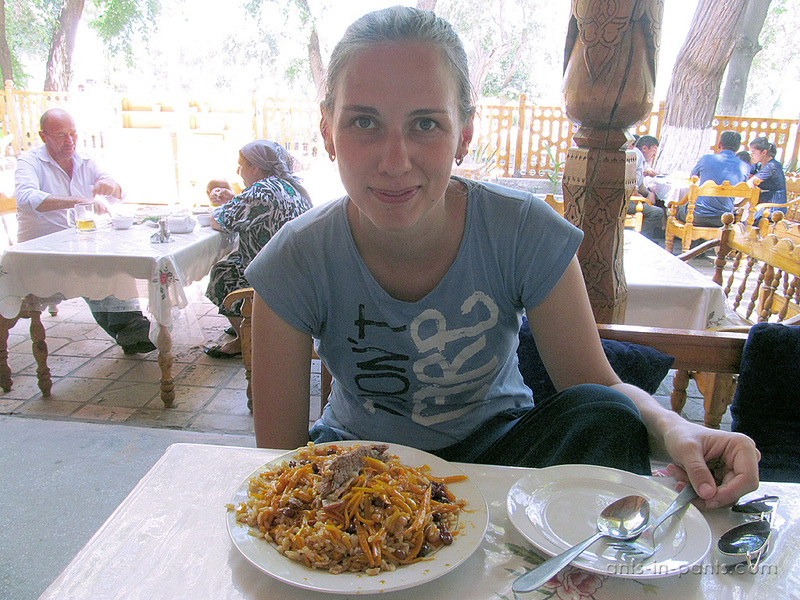 That is how we spent our first day in historical Bukhara, and the next day we expanded our geography of the city, visiting the Market, Emir’s Summer Residence, the Museum of Water, the Monument to the Grieving Mother, the City Park, and, finally, eating manty – the tastiest only in Bukhara!